Soup dumplings (also known as xiaolongbao) are a classic (and delectable) Shanghai dish, and this cooking class will teach you how to make them from scratch. 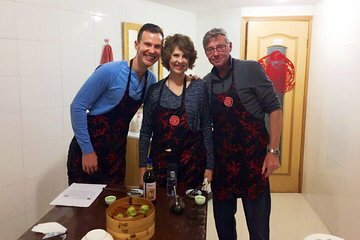 Meet your chef instructor in the French Concession in the morning, and get ready to cook. Over the course of the class, you’ll learn how to make three different dumpling varieties. Following the preparation and cooking, you’ll sit down to enjoy your feast, alongside tea and wine tastings. Amazing class. It was a lot of fun cooking in a normal day-life apartment with lovely Erica and the chief. The small groups make you feel comfortable and you can get every step of preparation the Dumplings. Highly recommended!